Apologies for the blunt truth, but getting your dream job doesn’t happen overnight. You can’t expect to be the perfect fit for a job and beat off the competition without putting in a bit of leg work. Time for some good news: Achieving your goals isn’t a distant reality. Clearly you have heard of internships, but this article explains exactly how they can help you to get your foot in the door, and tells the story of Diogo Pessoa e Costa – an EU student who has truly capitalized on his internship. The job advert asks for experience. You don’t have experience because you don’t have a job. You don’t have a job because you don’t have experience and so on and so forth… However, those long, precious summers that students enjoy are a great time to work as an intern and pack your CV with experience that makes you stand out from the crowd. With so many different job types on offer, it’s difficult to know exactly what you want to do or how to do it. Work experience can help you decide what field suits you best and understand the basic knowledge you need. Furthermore, applying for internships is great practice for job applications in the future! Career workshops, and internal and external fairs are a great opportunity for students to get to grips with the job market. Internships can help you to break into a specific industry or even company. Many permanent jobs are offered as a direct result of successful internships. The contacts that you can make will become a fantastic resource for you during your application process and your entire career. 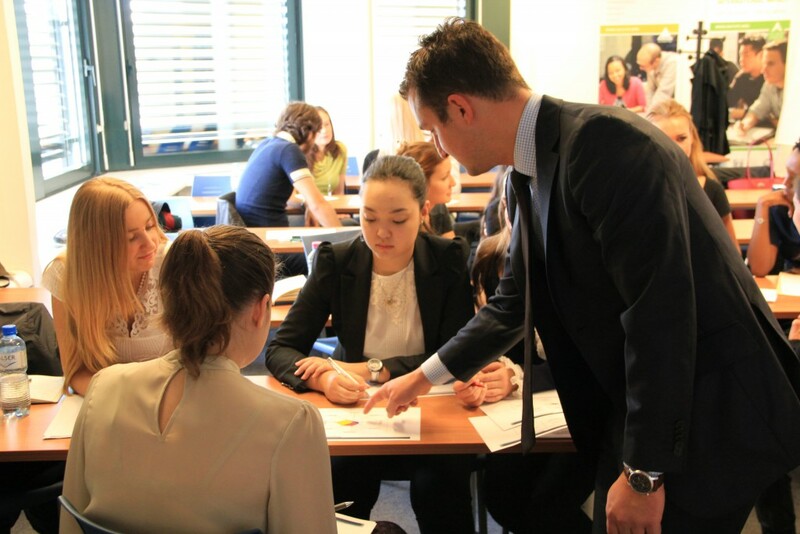 EU’s Career Services Department, or CSD, aims to provide students with the maximum preparation for the professional world. All of our campuses have experienced career counselors who can guide students through the early stages of their career, and we hold frequent careers workshops and fairs to connect with potential employers. To find out more about the CSD’s work, watch this video with Rosita Cordasco, Career Counselor at our Barcelona campus. Many students here at EU take the opportunity to get this vital experience during their studies. Diogo Pessoa e Costa is currently doing an internship at the prestigious W Hotel, which is part of the prestigious Starwood group. With its iconic fin-shaped exterior designed by Ricardo Bofill, W Barcelona is one of the most recognizable features on the skyline of Barcelona and attracts the glamorous and successful who visit the Catalan capital. I have found the hotel atmosphere to be very pleasant, with an open-door policy and great quality training both online and on site. Diogo has thoroughly enjoyed his internship, where he has learned many essential things about how the hospitality industry works and created a great network of contacts. He is now in the process of applying to Starwood’s Management Training, named Vita Futura, which has programs in Marketing and Finance; or Restaurant Management. The rigorous application process takes 18 months and applicants can only apply once in their lives – so the pressure is on. Thanks to Diogo’s internship, he has a head start on other applicants. He is familiar with how the brand works and the culture at work, which will mean he can concentrate on the technical side of the job. W Barcelona’s reaction to Diogo as an employee suggests he is in with a chance. Furthermore, his performance at work has already led to him being offered an extended contract, which will allow him to grow even more within the company. He fits the candidate that we’re looking for perfectly: international experience, languages, top-level education and a dynamic and confident attitude. Remember, your professional career has already begun! Make the most of these formative years and always keep an eye out for potential career opportunities.